One of my photos of Stockwell bus garage in South London. 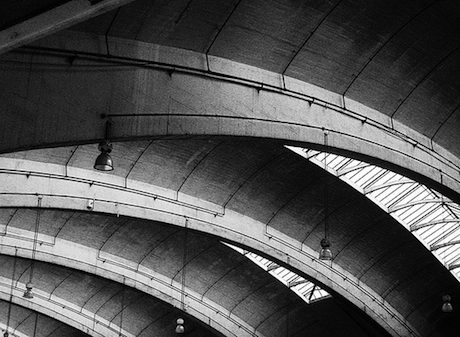 The huge arched concrete roof was designed by Adie, Button and Partners, with the engineer A E Beer. When it was built in 1952 it was the largest unsupported area under one roof in Europe, and is now a Grade II listed building thanks to the campaigning of, amongst others, Will Self, who lives nearby.